Elena Passarello will read from her new collection of essays Animals Strike Curious Poses at Arizona State University on March 16th. Elena Passarello is an actor, a writer, and recipient of a 2015 Whiting Award. Her first collection with Sarabande Books, Let Me Clear My Throat, won the gold medal for nonfiction at the 2013 Independent Publisher Awards and was a finalist for the 2014 Oregon Book Award. Her essays on performance, pop culture, and the natural world have been published in Oxford American, Slate, Creative Nonfiction, andThe Iowa Review, among other publications, as well as in the 2015 anthologies Cat is Art Spelled Wrong and After Montaigne: Contemporary Essayists Cover the Essay. Passarello lives in Corvallis, Oregon and teaches at Oregon State University. "I’ve spent decades reading books on the roles animals play in human cultures, but none have ever made me think, and feel, as much as this one. It’s a devastating meditation on our relationship to the natural world. It might be the best book on animals I’ve ever read. It’s also the only one that’s made me laugh out loud.... [Passarello is] a master of the essay form." Elena Passarello, Mike Scalise, and Shawn Wen will be reading at the Texas Book Festival this fall. Elena Passarello is the author of Animals Strike Curious Poses. She is an actor, a writer, and recipient of a 2015 Whiting Award. Her first collection with Sarabande Books, Let Me Clear My Throat, won the gold medal for nonfiction at the 2013 Independent Publisher Awards and was a finalist for the 2014 Oregon Book Award. Her essays on performance, pop culture, and the natural world have been published in Oxford American, Slate, Creative Nonfiction, and The Iowa Review, among other publications, as well as in the 2015 anthologies Cat is Art Spelled Wrong and After Montaigne: Contemporary Essayists Cover the Essay. Passarello lives in Corvallis, Oregon and teaches at Oregon State University. Mike Scalise is the author of The Brand New Catastrophe. His work has appeared in Agni, Indiewire, Ninth Letter, The Paris Review, Wall Street Journal, and other places. 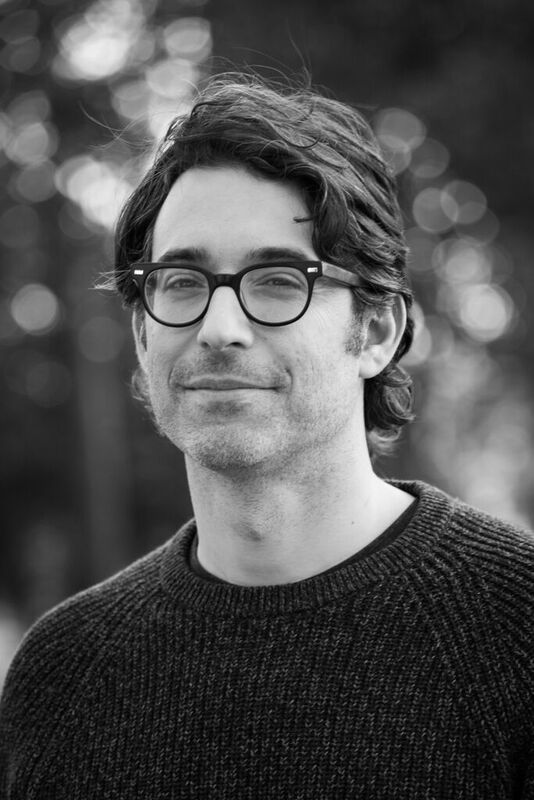 He’s an 826DC advisory board member, has received fellowships and scholarships from Bread Loaf, Yaddo, and the Ucross Foundation, and was the Philip Roth Writer in Residence at Bucknell University. His memoir, The Brand New Catastrophe, was the recipient of The Center for Fiction's 2014 Christopher Doheny Award. Shawn Wen is the author of A Twenty Minute Silence Followed by Applause. She is a writer, radio producer, and multimedia artist. Her writing has appeared in The New Inquiry, Seneca Review, Iowa Review, White Review, and the anthology City by City: Dispatches from the American Metropolis (Faber and Faber, 2015). Her radio work has broadcast on This American Life, Freakonomics Radio, and Marketplace, and she is currently a producer at Youth Radio. Her video work has screened at the Museum of Modern Art, the Camden International Film Festival, and the Carpenter Center at Harvard University. She holds a BA from Brown University and is the recipient of numerous fellowships, including the Ford Foundation Professional Journalism Training Fellowship and the Royce Fellowship. Wen was born in Beijing, raised in the suburbs of Atlanta, GA, and currently resides in San Francisco. Elena Passarello will read from her new collection of essays Animals Strike Curious Poses at Ohio Wesleyan University on October 26th. The PEN Center USA, in partnership with The Radius of Arab American Writers, presents a reading by Arab-American writers. Randa Jarrar, author of Him, Me, Muhammad Ali, will be the MC for the event. Mike Scalise will read from his forthcoming memoir, The Brand New Catastrophe, at Flyleaf Books in Chapel Hill, North Carolina, on Wednesday, April 19th at 7PM. For more information, please visit the event page here. Mike Scalise’s work has appeared in The New York Times, The Wall Street Journal, Agni, Indiewire, Ninth Letter, The Paris Review Daily, and other places. He’s an 826DC advisory board member, has received fellowships and scholarships from Bread Loaf, Yaddo, and the Ucross Foundation, and was the Philip Roth Writer in Residence at Bucknell University. His memoir, The Brand New Catastrophe, was the recipient of The Center for Fiction’s 2014 Christopher Doheny Award. Mike Scalise will serve as the visiting writer at the New Leaves Literary Festival at George Mason University. He will be reading from his new memoir, The Brand New Catastrophe, at 7:30 PM on April 4th in Research Hall room 143. For more information, please visit the event page here. Mike Scalise will serve as the visiting writer at the University of San Francisco's Emerging Writers Festival. He will read from his new memoir, The Brand New Catastrophe, at 7:30 PM in Fromm Hall room 120, Xavier Auditorium, with a reception to follow. For more information, please visit the event page here. Elena Passarello will read from and discuss her new collection of essays, Animals Strike Curious Poses, at 57th Street Books in Chicago on March 29th, 2017. The event is co-hosted by The Seminary Co-op Bookstores. Visit the event page on Facebook here, or the official event page here. Elena Passarello is an actor, a writer, and recipient of a 2015 Whiting Award. Her first collection with Sarabande Books, Let Me Clear My Throat, won the gold medal for nonfiction at the 2013 Independent Publisher Awards and was a finalist for the 2014 Oregon Book Award. Her essays on performance, pop culture, and the natural world have been published in Oxford American, Slate, Creative Nonfiction, and The Iowa Review, among other publications, as well as in the 2015 anthologies "Cat is Art Spelled Wrong" and "After Montaigne: Contemporary Essayists Cover the Essay." Passarello lives in Corvallis, Oregon and teaches at Oregon State University. Elena Passarello will answer questions about her forthcoming collection of essays, Animals Strike Curious Poses, at Women and Children First in Chicago on March 28th, 2017 at 7PM. Be sure to bring your copy for her to sign! For more information, visit the event page here. About the author: Elena Passarello is an actor, a writer, and recipient of a 2015 Whiting Award. Her first collection with Sarabande Books, Let Me Clear My Throat, won the gold medal for nonfiction at the 2013 Independent Publisher Awards and was a finalist for the 2014 Oregon Book Award. Her essays on performance, pop culture, and the natural world have been published in Oxford American, Slate, Creative Nonfiction, and The Iowa Review, among other publications, as well as in the 2015 anthologies "Cat is Art Spelled Wrong" and "After Montaigne: Contemporary Essayists Cover the Essay." Passarello lives in Corvallis, Oregon and teaches at Oregon State University. Mike Scalise will read from his new memoir, The Brand New Catastrophe, at the Carnegie Library of Pittsburgh, Lawrenceville Branch, on March 18th, 2017 at 2PM. Mike Scalise will read from his new book, The Brand New Catastrophe, at the Ivy Bookshop in Baltimore on Tuesday, February 7, 2017. Scalise will be in conversation with Nate Brown, author and professor at George Washington University. About The Brand New Catastrophe: Raucous family memoir meets medical adventure in this heartfelt, hilarious book exploring the public and private theaters of illness. After a tumor bursts in Mike Scalise’s brain, leaving him with a hole in the head and malfunctioning hormones, he must navigate a new, alien world of illness maintenance. His mother, who has a chronic heart condition and a flair for drama, becomes a complicated model as she competes with him for the status of "best sick person." The Brand New Catastrophe is a moving, funny exploration of how we define ourselves by the stories we choose to tell. Mike Scalise’s work has appeared in The New York Times, The Wall Street Journal, Agni, Indiewire, Ninth Letter, The Paris Review Daily, and other places. He’s an 826DC advisory board member, has received fellowships and scholarships from Bread Loaf, Yaddo, and the Ucross Foundation, and was the Philip Roth Writer in Residence at Bucknell University. His memoir, The Brand New Catastrophe, was the recipient of The Center for Fiction's 2014 Christopher Doheny Award. Mike Scalise will read from his new book, The Brand New Catastrophe at Kramerbooks in Washington, D.C. on Monday, February 6th. Scalise will be in conversation with author Timothy Denevi (A Personal History of ADHD). Mike Scalise will appear in conversation with novelist Laura van den Berg (Find Me) at Brookline Booksmith on Thursday, February 2nd. 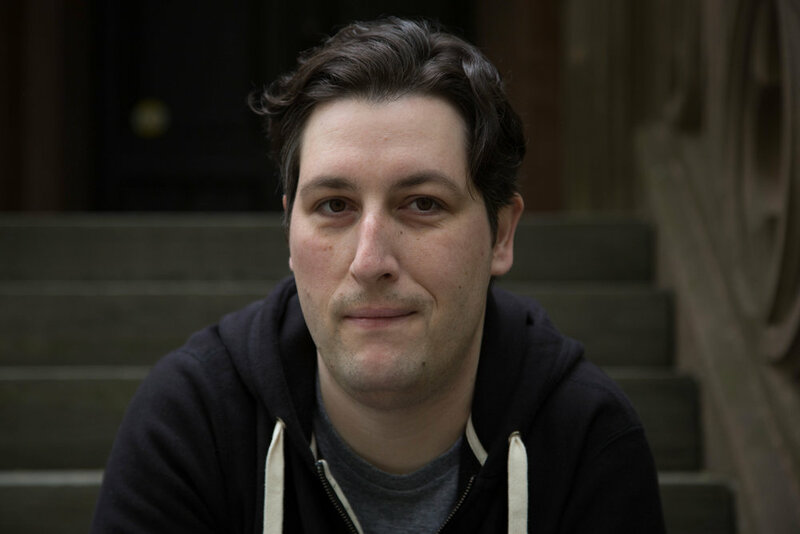 Mike Scalise will talk about his creative process and the challenges of writing the body with Alexandra Kleeman (Intimations, You Too Can Have A Body Like Mine). For more information, and to check out Mike Scalise's new essay, "An Unfunny Essay About Humor," visit the Center for Fiction's website here. Mike Scalise launches his award-winning memoir The Brand New Catastrophe in conversation with celebrated novelist Kaitlyn Greenidge (We Love You, Charlie Freeman). Scalise’s work has appeared in The New York Times, The Wall Street Journal, Agni, Indiewire, Ninth Letter, The Paris Review Daily, and other places. He’s an 826DC advisory board member, has received fellowships and scholarships from Bread Loaf, Yaddo, and the Ucross Foundation, and was the Philip Roth Writer in Residence at Bucknell University. His memoir, The Brand New Catastrophe, was the recipient of The Center for Fiction's 2014 Christopher Doheny Award. Complimentary beverages provided by Sarabande Books! Known for sharp imagery, startling metaphors, and deceptively simple diction, Tranströmer's luminous poems offer mysterious glimpses of insight into the deepest facets of humanity. These new translations, in a bilingual edition, are tautly rendered and elegantly cadenced. They are also deeply informed by Crane's personal relationship with the poet and his wife during the years she lived in Sweden. Tomas Gösta Tranströmer is a Swedish writer, poet and translator, whose poetry has been translated into over 60 languages. He's acclaimed as one of the most important European writers since World War II and was awarded the 2011 Nobel Prize in Literature. He died March 26, 2015 at the age of 83. Patty Crane’s translations of Tomas Tranströmer’s poetry have appeared in American Poetry Review, Blackbird, New Ohio Review, Poetry Daily, Poetry East, and Smartish Pace. She spent three years living in the Stockholm area of Sweden, where she worked closely with Tranströmer and his wife, Monica. Rick Barot will be reading from his new poetry collection, Chord (2015), at Texas Tech University on November 3rd. He will be reading as part of the Texas Tech Creative Writing Program Reading Series. The reading will take place at the English Auditorium at 7:30 P.M.
On October 28th, Randa Jarrar, author of Him, Me, Muhammad Ali (2016), will be reading from the forthcoming collection of short stories at Chevalier's Books. Jarrar will be joined by Wendy Ortiz, author of Excavation and the forthcoming Bruja, and Myriam Gurba, author of the forthcoming memoir, Mean. Him, Me, Muhammad Ali is Randa Jarrar’s first and absolutely stellar short story collection. In the title story, a misunderstood family anecdote becomes central to a young woman’s journey to come to terms with her father’s death. Bouncing between Cairo, New York, Palestine, Sydney, Jackson, Istanbul, and more, Randa’s stories brilliantly capture our world, sometimes refracted through the mythic, but always grounded in vivid prose and sly humor. Vibrant writing is tempered by the reality of what is projected on these (often Arab) characters. And yet these projections do not limit the characters, as they reveal resonant and otherworldly narratives, only to find truth no less magical than their creations. We are brought into the worlds of these “accidental transients”—a term for migratory birds who have gone astray, here tenderly capturing displaced characters. Rick Barot will be reading from his new poetry collection, Chord (2015), at Diablo Valley College on October 27th. The reading will take place at the Pleasant Hill campus at 7:00 P.M.
Jarrar will kick off her tour at the Asian American Writer's Workshop in New York City on October 12th. You can find the complete list of tour dates and locations below. If Randa Jarrar is coming to a city near you, make sure to come by and say hello, see her read from Him, Me, Muhammad Ali, and grab a signed copy! On October 1st, Jordan Zandi, author of Solarium (2016), will be reading at The Big Big Mess Reading Series. Zandi will be reading alongside writers Matt Hart, Holly Amos, and Ryan Collins The reading is set to take place at Annabell's Bar and Lounge in Akron, Ohio. "Simplicity is the highest form of sophistication,” Da Vinci said, and Jordan Zandi was listening. Rather than overpower the reader with flashy intelligence or dazzle via the latest fashion, this poet offers startling discoveries of expression. With straightforward syntax and diction Zandi’s poems find their way to fresh sound and unexplored regions of the interior. Jordan Zandi grew up in the rural Midwest, and in 2011 graduated with an MFA in poetry from Boston University, where he was the recipient of a Robert Pinsky Global Fellowship to Bolivia. His poetry has appeared in The New Republic and Little Star. On September 25th, Jordan Zandi, author of Solarium, will be reading at the Last Sunday Poetry Reading and Open Mic as part of The Writers Guild at Bloomington. Zandi will be reading with Jason Ammerman, author of Dreaming is Nothing but Dreaming and All Grown Up. The reading is set to take place at the Bloomington and Monroe Country Convention Center in Bloomington, Indiana. 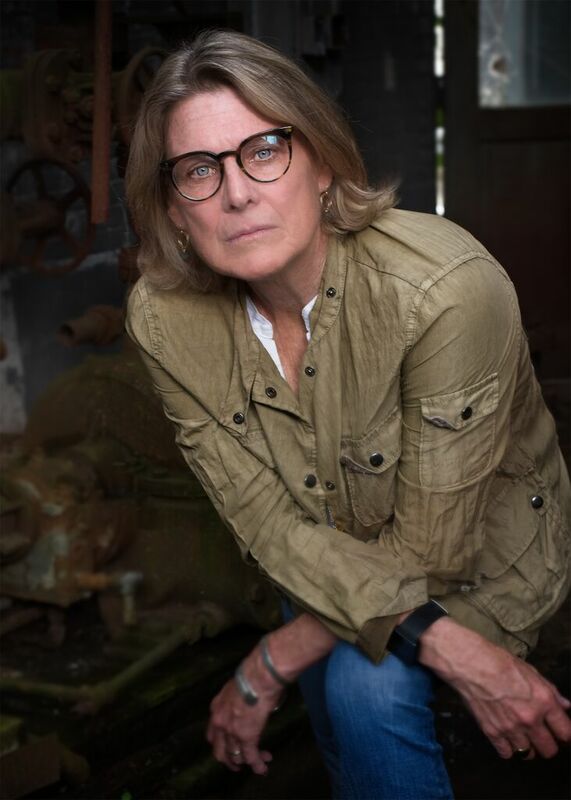 On Wednesday, September 21, Jenny Johnson will be reading her work as part of the Althea Ward Clark W'21 Reading Series in Princeton, New Jersey. Johnson will read alongside author and Pulitzer Prize finalist Joy Williams. The event will take place at 4:30 PM at the Berlind Theater at McCarter Theater Center. This event is free and open to the public. Jenny Johnson is a 2015 recipient of a Whiting Award and a 2016-2017 Hodder Fellowship at Princeton. Her work has been anthologized in Best American Poetry 2012, Los Angeles Review of Books Quarterly, and Troubling the Line: Trans & Genderqueer Poetry & Poetics. Mike Scalise to speak at John Hopkins Pituitary Patient Day. On Saturday, September 17, Mike Scalise will give a talk as part of John Hopkins 8th Annual Pituitary Patient Day. Scalise will be discussing his experience with low cortisol as to raise awareness for diseases of pituitary gland. Pituitary Patient Day will begin at 9:30 AM and Scalise will begin his talk at 11:50 AM at the Johns Hopkins Mt. Washington Conference Center, Baltimore, Maryland. On September 15, Amelia Martens will be reading as a part of the Spalding at 21c: Voice and Vision Literary Series. She will be reading alongside authors Jeanne Hammond, Sean Patrick Hill, and Lisa Williams as well as playwright Larry Muhammad and Spalding MFA Alumni Drew Pomeroy and Martin Jennings. The reading series will start at 6:00 PM at 21c Museum Hotel in Louisville, Kentucky. On September 8, Amelia Martens will be reading as part of Writers on the Mic as part of The Nitty Gritty Magic City Reading Series. She will be reading alongside authors Anthony Vacca and Alina Stefanescu. The event begins at 7:00 PM at the Desert Island Supply Company in Birmingham, Alabama.